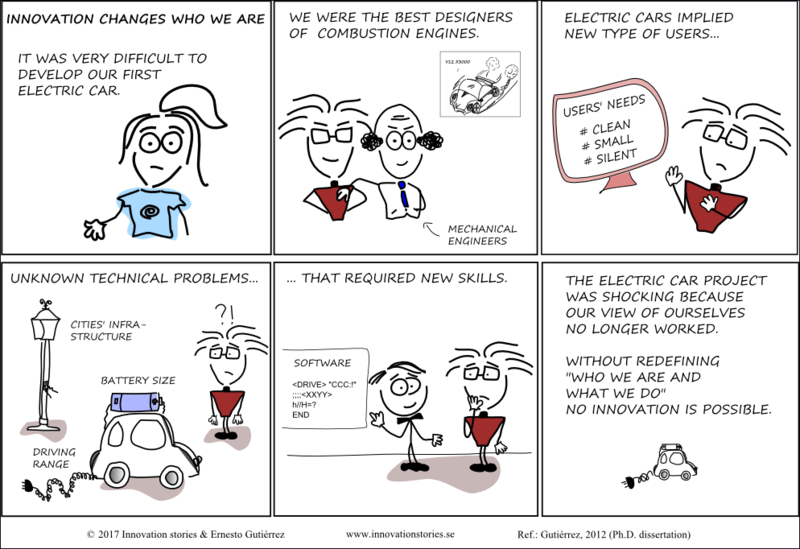 A research project to talk about innovation in the form of comics. New! : Is Real Options suitable for selecting innovation ideas? Innovation is a broad and abstract field of knowledge. There is a need of a new way to talk about innovation. Comics allow to present theoretical concepts as stories that are easy to connect to real work experiences. Innovation stories aims to provide a better understanding of innovation management and a critical view of popular practices. Innovation stories has been created from observations, interviews and literature on innovation and decision making. Scientific basis for all the concepts can be found in the Ph.D. thesis “Evaluation and selection of ideas and projects in product development”, (Gutiérrez, E., 2012). My name is Ernesto Gutiérrez and in 2012 I received my PhD from KTH, Royal Institute of Technology of Sweden. In my research, I studied innovation with a focus on decision making, strategy and project portfolio. With Innovation stories I have tried to create the work on innovation that I had needed and never found.